There are lots of different types of property available on the market, including cottages, terrace houses, apartments and farmhouses. When you decide to sell up and move, you may well know what type of property you are looking for, or you may be open minded. There is one type of property that is often overlooked on the market, and that is the practical, humble bungalow. You may have already been considering a bungalow, due to the great accessibility on offer, but if it has never crossed your mind, then it’s definitely worth considering. A bungalow is a house that has been built on one floor and is always either semi-detached or completely detached. First appearing in the 1860s, bungalows became very popular in the 1920s, and were soon exported around the world to places like America, where they are still a very popular type of property. 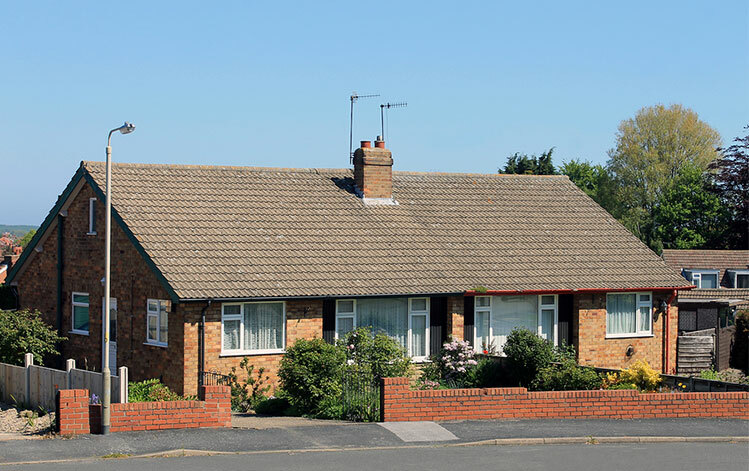 In the UK however, bungalows have actually become quite rare, due to less development space. You tend to find bungalows out in more rural areas, because cities simply don’t have enough space for them to be built. Due to the fact bungalows are either detached or semi detached, residents can enjoy a more private life than those living in terrace houses. Once you have bought a bungalow, you can make it even more private by planting shrubs and bushes round the outside. It is important to remember that because bungalows are all on one floor, more private rooms, such as bedrooms and bathrooms, are all compromised by being situated at ground level. Think about different glass options and buy slatted blinds that allow you to look out while preventing others from looking in. As all the rooms are on one floor in a bungalow, you can make the layout work however suits you best. You don’t have to keep the rooms in the same way the previous owners did, you can change up the floor plan however you want. If you find the current sitting room at the back of the house is quite dark and dingy, then move it to the front of the house where there is more natural lighting. The majority of rooms are easy to move around, it tends to be bathrooms and kitchens that can be a little trickier. If you’re only worry is privacy though, there are lots of different options, such as frosted glass, to make your home just that bit more comfortable and private. It’s important to feel secure in your home, as this is the place you spend most of your time and keep the majority of your possessions. Home security should be high on the list of priorities for any homeowner. Unfortunately, bungalows lack the usual intruder deterrent that other houses have - high windows. With all the rooms on one floor, it is very important to consider the security systems you have in place. Alarms and intercoms are a good start, outside lighting also works as a good deterrent, and lockable gates, doors and windows will all help to keep your home secure. With only one floor, you may find that your bungalow lacks the space that a two or three storey house would have. There are lots of different ways you can create the space you need though, including converting rooms and utilising garage and attic space. The number of bedrooms can often be a problem, especially if you want your bungalow to be a family home. Check the planning permission for the bungalow before you buy it, because you may find that building on an extra bedroom or two won’t be a problem. If you need a guest bedroom, but don’t have enough rooms, consider buying a sofa bed for your sitting room – unless you have very frequent guests staying, this should work out fine. You could also convert your loft, or make an extra room in your garage.